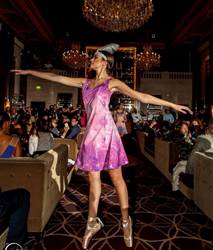 IM Boston welcomes Irina Gorbman's unique and uplifting clothing line to their marketplace. IM Boston marketplace is a combination of unique, high-end pieces from many local designers that are uplifting and inspiring. We felt that Irina Gorbman’s fashion line was just the thing to add to our growing list of amazing products offered on our site. Recently IM Boston successfully launched the IM Boston Marketplace, a website dedicated to selling carefully crafted clothing and accessories produced by New England's local designers. Today they are celebrating the addition of another vendor: Irina Gorbman, Abstract Artist & Designer. Gorbman is know for her exquisite abstract expressionism oil paintings, but has turned her business into something more. After going through a traumatic life event she turned to art to begin to heal and found it to be profoundly therapeutic. That is when she began to make art with a mission, which became Art That Heals™. When asked about joining the IM Boston Marketplace, Irina had this to say: "I felt humbled and happy upon receiving the call to join the Boston-based fashion movement on IM Boston platform. It's perfect timing to jump start the fashion gig to the level of what Boston is famous for. I want our everyday clothes to resemble the happy bright colors of the Universe so we feel more energized and alive. Casual everyday wearable art that stands out and creates smiles is my goal." 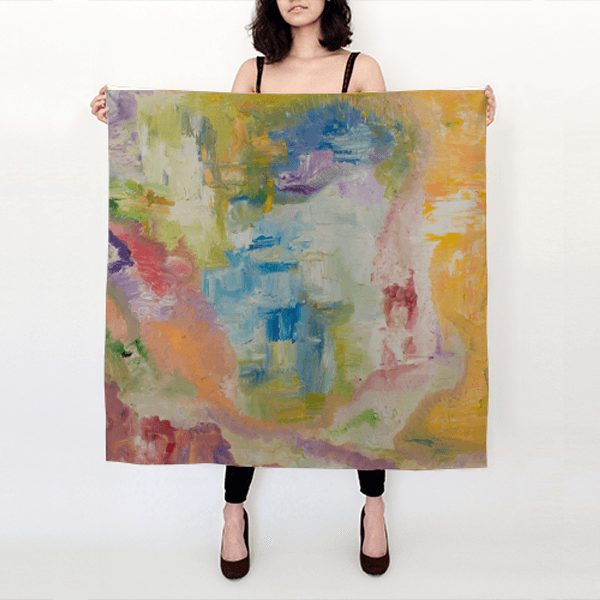 Over time a few of Gorbman's friends would ask her to take a piece of her art and turn it into a shawl, dress or shirt that they could incorporate into their wardrobe and she in turn thought that was a great idea. Through this she brought her Ballerina collection to life. This collection includes dresses, leggings, skirts and covers that have her paintings printed on the fabric. The pieces are elegant, vibrant and are said to exude optimism. She describes it as "wearable art for all those who are young at heart, and want to live in color." IM Boston encourages people to learn more about the artist on her website: https://www.igorbman.com. To see and purchase Irina's pieces, IM Boston encourages you to visit her shop at https://imboston.com/shop/vendors/irina-gorbman-fashion. IM Boston is a Boston centric online magazine highlighting and sharing stories of people around the city. It was born from the idea that everyone has a voice that should be heard. IM Boston strives to bring the community together by discovering inspiring stories, participating in charity programs, hosting networking events, and more. To learn more about the magazine and how to participate, please visit their website at https://imboston.com.